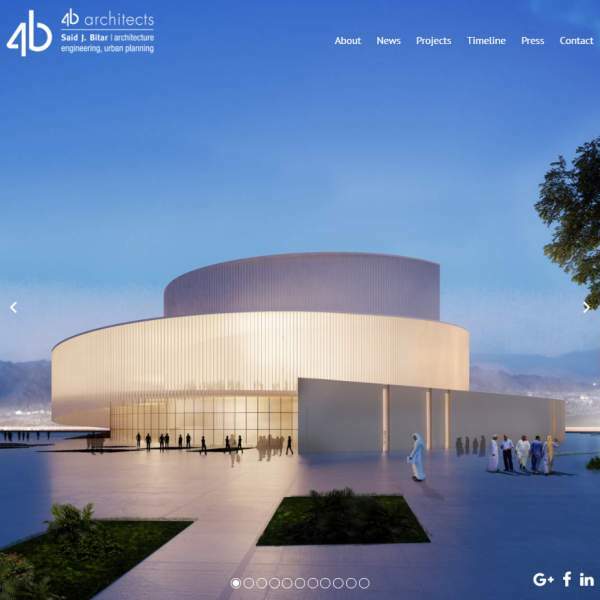 4B Architects launches its 2017 Website ! Visit us online and send us your impressions!
. Our latest News to keep you updated.
. A Projects' database rich with 126 projects carefully selected from more than 300 completed.
. A Timeline that provides an historical overview of our work starting 1968, shedding the light on a long architectural journey.
. A Press page showcasing various press releases related to our firm. With its large imagery and short informative texts, we hope our website offers a pleasant browsing experience and allows a clearer view about our extensive experience as well as our broad expertise.